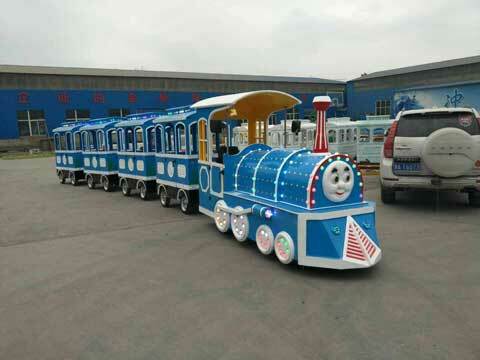 Trackless trains for sale in our factory are hot-sale for Australia market these days. 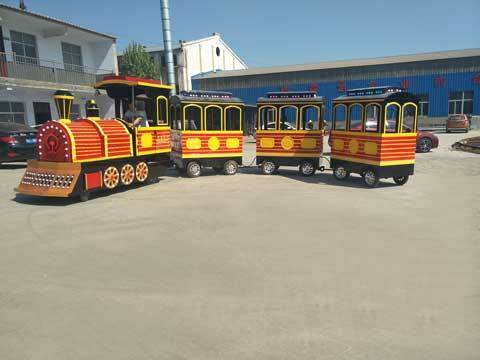 These trains could be used for transport, passengers could drive these rides around the amusement park. Additionally, trackless train is a great attraction in the amusement park. 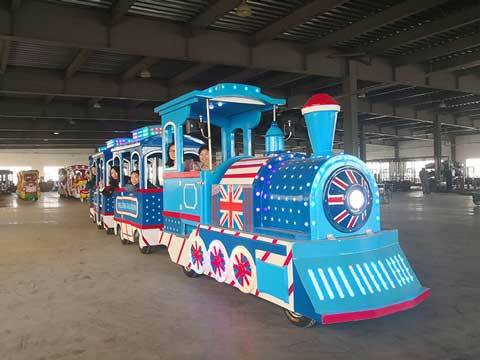 Our customers from Australia has bought these electric trackless trains for amusement parks, shopping malls, large squares and other places. 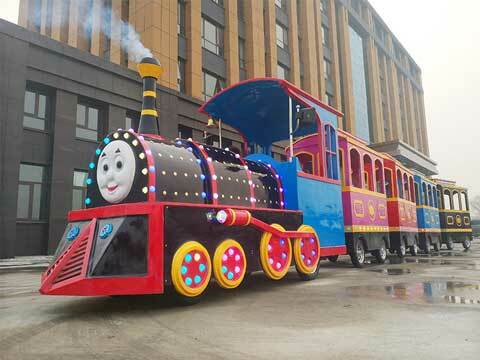 We could customize the trackless train for you. For this ocean theme trackless train, we have one set in stock. You can also customize the train according to your requirement. 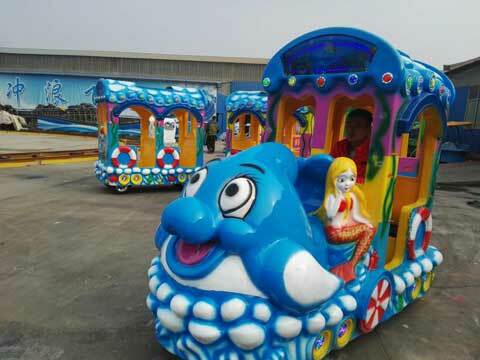 Ocean theme trackless train is one of the most popular sell train in our factory. It is attractive with novel appearance and ocean theme. Each of the coach could contain 4 passengers while one locomotive could contain 2 passengers. We call these trains “tourist train”, they are used for passengers who are visiting a park，shopping in a center, playing in a funfair and wandering in a large people’s square. These tourist train will carrying passengers from one place to another. They could enjoy the view in the park also. 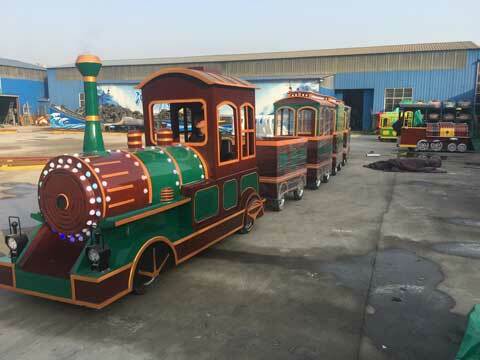 Tourist train in our factory can be made of wooden and fiberglass. The price differ between these two kinds. 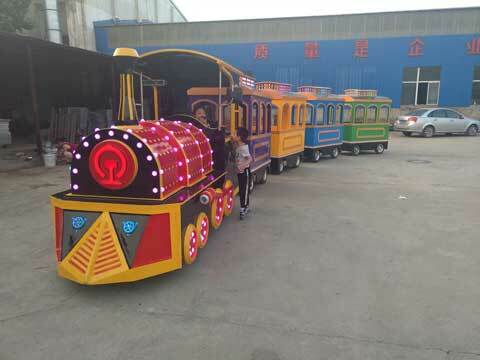 There are 14, 17 and even 42 person tourist trackless trains in our factory. 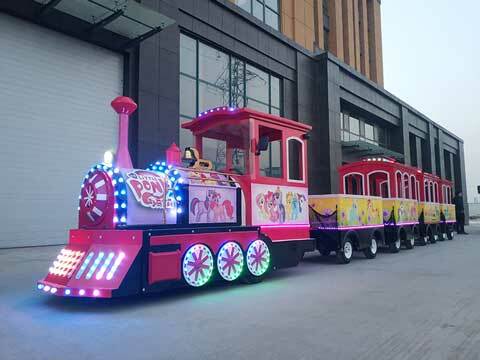 Most of our trackless and track trains can be used on the party for kids. 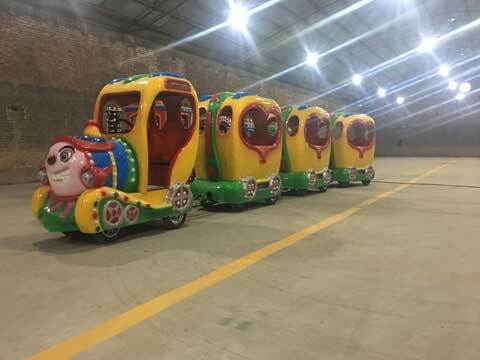 They could be ocean theme trackless train, Christmas theme trackless train and some electric track train, even some small trackless train that passengers should sit on the train not in the coaches. In a large shopping mall, people mainly use the trackless train as a tool. 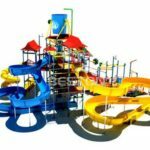 It is one of the best amusement rides for kids in a large shopping center. Come to our factory, you will get more trackless and track trains which is suitable for shopping center use in our warehouse. Trackless train are more convenient than the track trains. Our trackless train for Australia Customers are powered by electric. These trains are environmental and more convenient for passengers. They are cheaper than the gas model trains. We provide more than 20 types of trackless and track trains for our customer. Welcome to our factory! 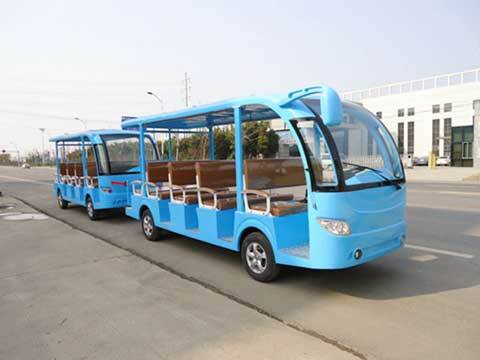 Elephant trackless train is designed according to the elephant feature. The standard capacity is 14 person. Its locomotive is made up of a large elephant with a cute nose. The painting could be changed as whatever you like before your order. Also the capacity can be extended to 18 person. The 14 person model train has 3 coaches while the 18 model train has 4 coaches. If you need more coaches, you can contact us. We will reply you as soon as possible. When you preparing for Christmas, you may consider the Christmas theme trackless train. 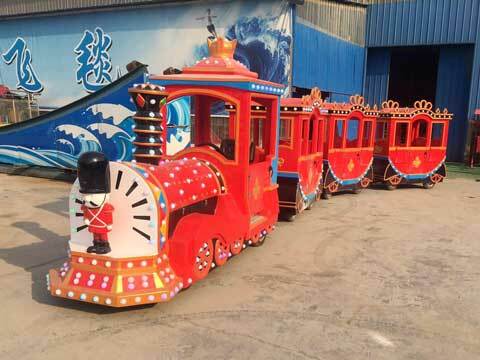 Christmas trackless train in our factory can be divided into two types, one is the electric trackless train, and we can also custom the Christmas track train for you. The standard Christmas trackless train is comprised of one locomotive and 3 carriages. One set electric train could take 14 passengers at the same time. But the number of carriages you need could be changed if you need more. A perfect Christmas theme ride! 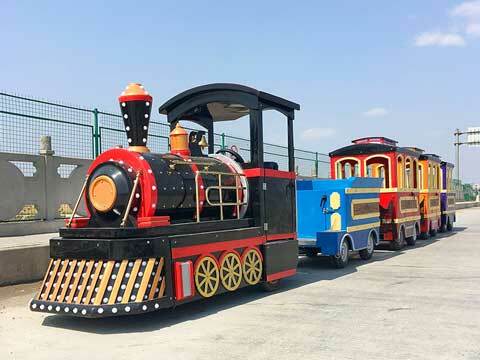 Beston Amusement trackless train rides on sale mainly include a locomotive and 4 cars which will carry 18-24 passengers, kids and adults. We try our best to provide our customer more attractive and quality trackless train. We could offer the best price and style and also customize trains according to your requirement. Trackless train rides for kids and adults could drive on the grass, concrete, gravel and even sand. 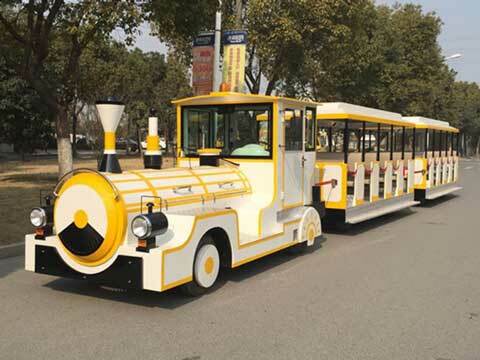 Beston Amusement trackless train rides on sale mainly include a locomotive and 4 cars which will carry 18-24 passengers, kids and adults. We try our best to provide our customer more attractive and quality trackless train. We could offer the best price and style and also customize trains according to your requirement.